One of the most challenging work an actor can do is to play a real public figure. Not only must they physically look the part, but they must accurately represent the person they are are portraying. While it can be a difficult task to conquer, if they're able to nail the part, these stars will surely receive critical acclaim and get pursued by producers who are striving to make Hollywood's next big hit. Interested to see who underwent drastic transformations to play a real public figure? Here are 10 celebrities who did a mighty fine job. When Charlize Theron starred as Aileen Wuornos in the biographical crime drama, Monster, she had no idea what a huge hit it would be. For the role, Theron gained 30 pounds, shaved off her eyebrows and wore prosthetic teeth. "I didn’t want it to be the kind of thing where transforming me into Aileen – which we had to do and I knew we had to do – where it became just about prosthetics and a fat-suit," Theron said, "and I think I knew very early on that part of me understanding her journey of who she was." "I don’t know how I could have played that part with this body. I knew I had to transform my body to get myself into her physical skin," she added. Her hard work paid off and received several accolades in the 2004 awards season by winning an Academy Award, a Golden Globe Award, and the Screen Actors Guild Award for Best/Outstanding Lead Actress. 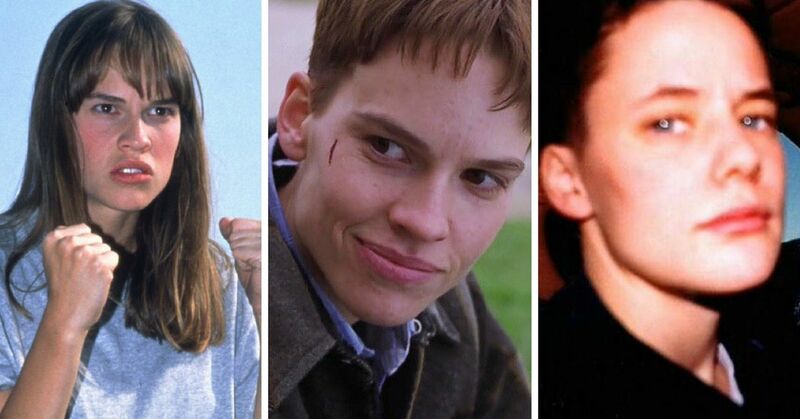 In 1999, Hilary Swank played the role of Brandon Teena in the biographical film, Boys Don't Cry. 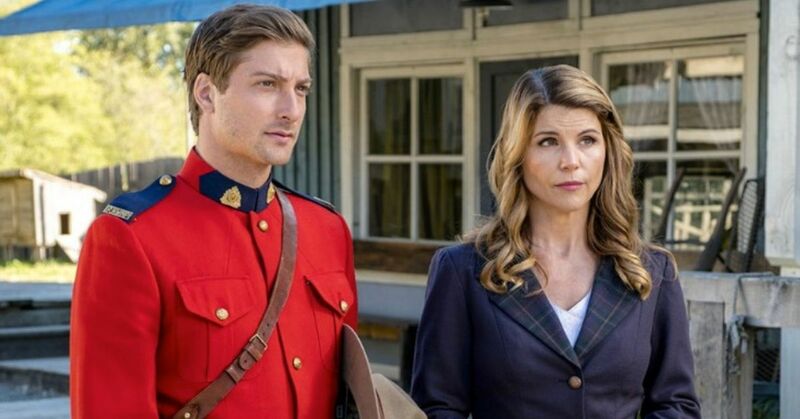 She played a transgender man who moves to a small town to start a new life but meets a tragic ending. "With the work that I've done, just scratching the surface and walking in someone's shoes who lived that life, it gives you a little bit of a deeper understanding of what the world is like for some other people, and to celebrate our differences is a beautiful thing. It's a beautiful thing," Swank told the Huffington Post. To prepare for the role, Swank went bare-faced, cut off her long locks and dyed it a darker shade of brown. She also lived as a man for a month by wearing a chest binder and putting socks down her pants. Swank received critical acclaim for her portrayal and won a total of nine awards for best actress, including an Academy Award, a Golden Globe Award, and Critic's Choice Movie Award. 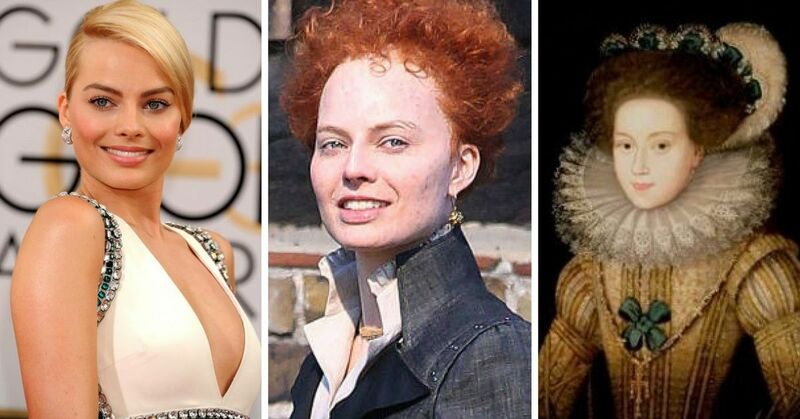 While any history buff knows about the rivalry between Queen Mary I and the Virgin Queen, viewers unfamiliar with the Elizabethan era will get a firsthand glimpse of feud unfold in the upcoming 2018 film, Mary, Queen of Scots. Margot Robbie - who is also know for her role as Tonya Harding in I, Tonya - stars as Queen Elizabeth I and stayed true to character by undergoing a major transformation. The real Elizabeth suffered from small pox, and as a result had a face riddled with scars. Makeup and prosthetics were used to recreate her imperfections and Robbie also had to don a bright orange-red wig. Robbie said the huge shift in her appearance made her feel "inhuman" as the film's staff quickly began to avoid her. "It was nothing intentional," Robbie told EW, "but I could see that it was uncomfortable for them, and the less they looked at me, the more isolated I felt." 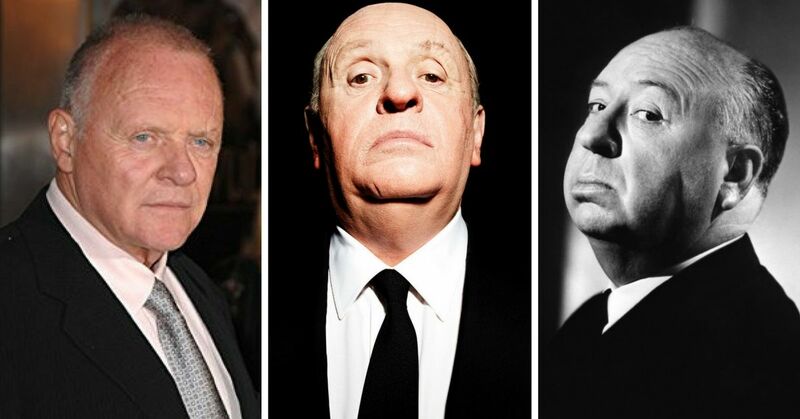 In 2012, Anthony Hopkins starred as the legendary Alfred Hitchcock, in a movie simply titled, Hitchcock, which explores the relationship between Hitchcock and his wife, Alma Reville, during the making of Psycho. Makeup artists tried six different transformations styles on Hopkins before they found the perfect combination of makeup and prosthetics, using the latter to create Hitchcock's smaller nose, ears, and rounder jawline. He also wore a fat suit. "As a makeup artist, I always bring a percentage of the character to the table, and the actor brings the rest. I was lucky to have an actor that brought 300 percent to the table," the film's makeup artist, Howard Berger, told EW. "I wanted to have a mix of Hitchcock and Tony Hopkins. You forget you’re watching an actor wearing a makeup.You have to step back and pull the reins on yourself," he added. In the end, Hopkin's transformation was so well done, and the film was nominated for an Academy Award for Best Makeup and Hairstyling. 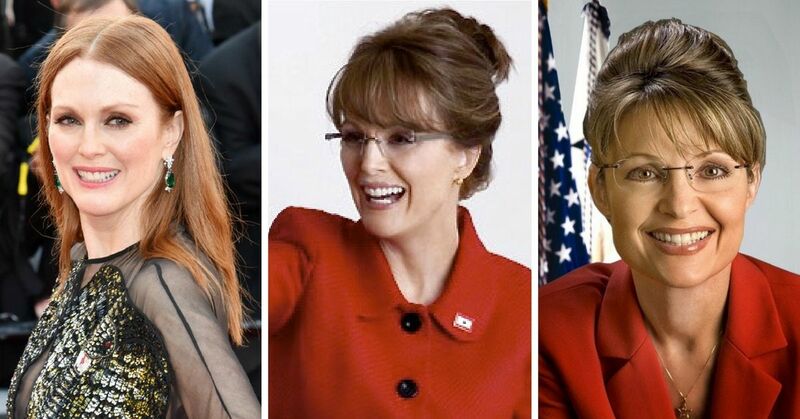 You're not seeing double, but with the right hair and makeup, Julianne Moore truly looks like a dead ringer for Sarah Palin. Moore transformed into the former Alaskan Governor for the political drama movie, Game Change. Since the movie is about John McCain's presidential election campaign, Moore had to make sure she looked the part at all times. Her freckles had to covered and her light skin tone was darkened to match Palin's darker complexion. Her makeup artists also had to use a lip pencil to fake the former Vice President candidate's pouty grin, and of course her red hair had to be covered with a brown wig. Moore's transformation was such a success, it even baffled her family. "We took some pictures with the kids, and it’s like us with Sarah Palin. We weren’t freaking out, because we’ve all been on so many sets with her," Moore's husband, Bart Freundlich told People. "But it was kind of eerie, uncanny. Being a guy, I couldn’t...figure out what was making her look like that. When she would take off the wig, I’d think, 'Oh, that was a wig!'" he added. But it was well worth it in the end, as Moore took home a handful of awards for her portrayal, including an Emmy Award, Golden Globe Award, and Peabody Award. While Ashton Kutcher's role as the founder of Apple in Jobs was panned by critics, it doesn't mean he didn't put in a ton of work to channel Steve Jobs. The actor spent three months mimicking the lifestyle of Jobs to fully understand his mindset. During this time he followed Jobs's diet and researched his greatest role models. "I quickly found that, while learning 'how a person is' ultimately is the key, you have to learn 'why a person is,'" Kutcher said in a Q&A with Quora. 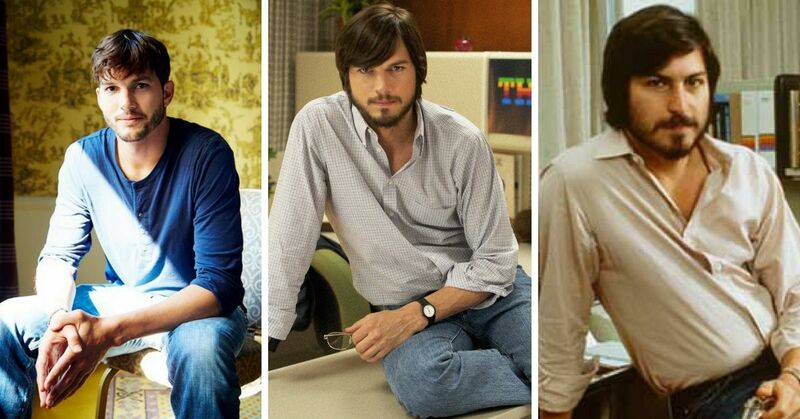 While Kutcher has an uncanny resemblance to a younger Jobs, Kutcher also lost between 15 to 18 pounds for the role. "(Jobs) was a really disciplined guy in a lot of ways, around his work and his life and his relationships and his products," Kutcher told CNN. "And part of going on the diet was just to try to get an understanding of that. I didn't like it very much," he continued. 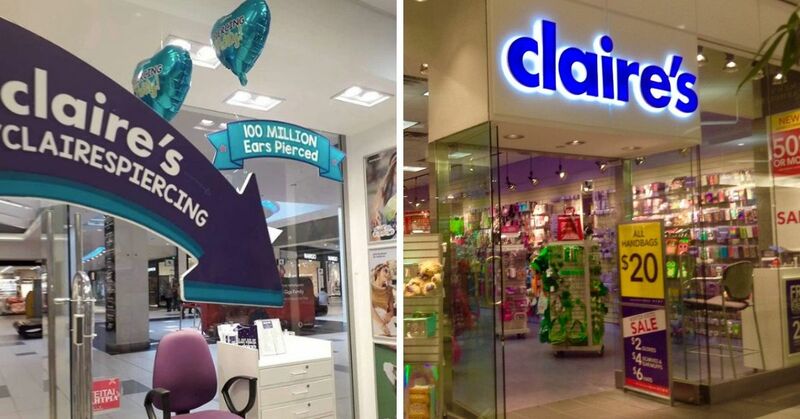 It was really painful, ultimately. But it was really worth it, 'cause I think I gained a level of empathy towards that kind of discipline and focus that I don't think I could have played the role without." Is there anything the iconic Meryl Streep can't do? The answer is no, and that includes playing former British Prime Minister Margaret Thatcher. 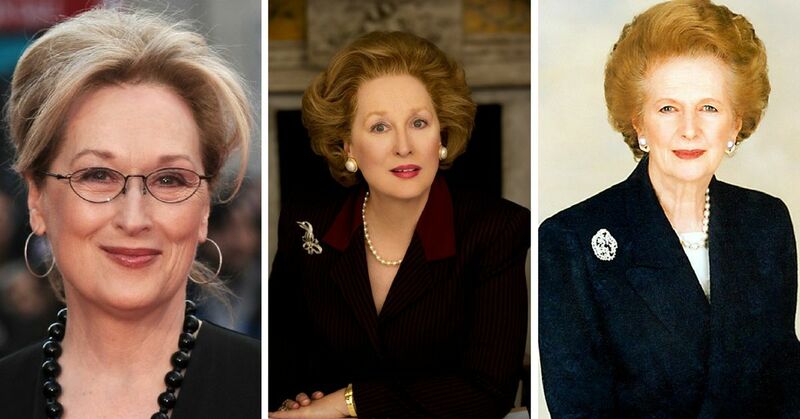 In 2011, Streep played Thatcher in the biographical drama, Iron Lady, to significant critical acclaim, which was accentuated by her physical transformation of Thatcher throughout her lifetime. To play the first female British Prime Minister, Streep had to wear a prosthetic mask, which gave her noticeable wrinkles, a saggier neck, a rounder face, and widened her nasal bridge. She also wore a wig (that pulled back her hairline), and dentures to achieve Thatcher's distinct overbite. Although she got the physical attributes down pat, Streep said she also had to practice mimicking Thatcher's voice and mannerisms. "There were also things like how she held herself, how she stood and how she sat, how she crossed her legs and what jewelry she wore, how she set her head when she was making a point – all of those things were important," Streep told the Radio Times. "And they were specific to her, so I did try to capture that to a certain degree because it had a lot to do with how people reacted to her. It was her armor," she added. For her portrayal of Thatcher, Streep also won several awards, including an Academy Award, a BAFTA Award, and Golden Globe Award, all for Best Actress. 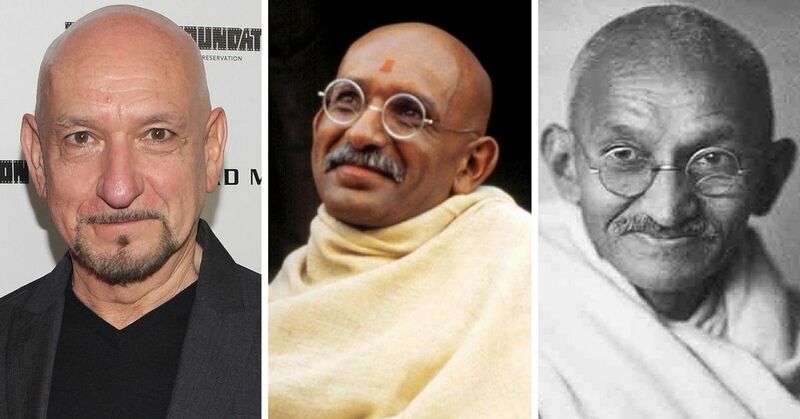 In 1982, Ben Kingsley starred in the historical drama film, Gandhi, where he played the titular role of one of the most famous activists in the world. The British actor said he had a lot of work cut out for him when was first cast in the role, but since he had little time to prepare but was quickly able to channel Gandhi's mindset. 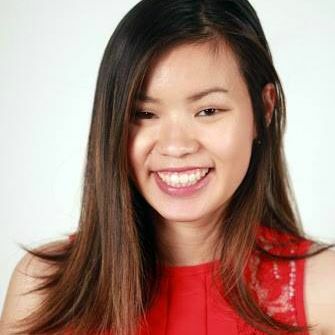 "I practiced yoga in the morning that helped keep my mental focus and energy levels high. In the evenings I did my shoots and in the night I took spinning classes," Kingsley told the Times of India. "The camera hates acting and loves behavior," he continued. "You can't film or act out charisma, it depends on you and the attitude of the people around you." Along with getting Gandhi's attitude down pat, Kingsley also had to physically transform himself to match the activist's physical appearance. He went down from 147 pounds to 126, and darkened his skin for the role. While looking the part was important, Kingsley's ability to play the iconic role helped the film win eight Academy Awards. 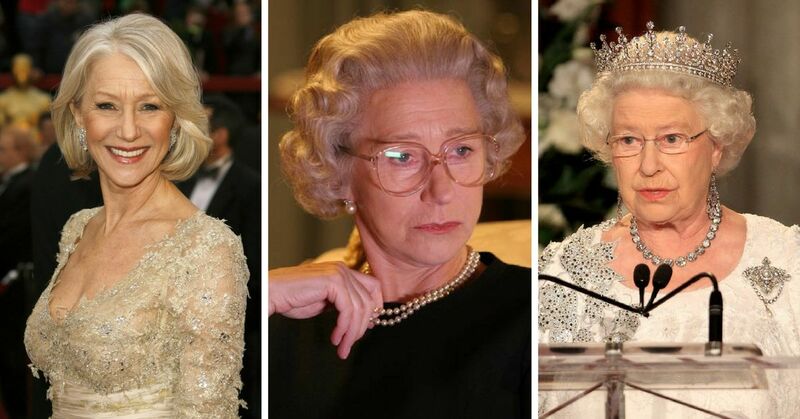 Not many people can portray Queen Elizabeth II and do her justice, but Helen Mirren did just that when she played the U.K.'s longest reigning monarch in the 2006 film, The Queen. Even though Mirren already carried a resemblance to the titular character, she wore a wig to mimic the Queen's classic curls and the same style of glasses during the movie's 90s setting. However, one objection the decorated actress faced was her clothing choices. "The clothes are very important," Mirren said during a discussion at the New York Public Library. "I remember when I had my first costume fitting for The Queen, and they laid all of these sensible shoes out, kilts, Barbour jackets, head scarves, and these sort of dresses... I cried. I thought, I can’t play anyone who’d wear these clothes. I just can’t do it," she added. But despite her wardrobe, Mirren won more than 20 awards for her role as the British Monarch. 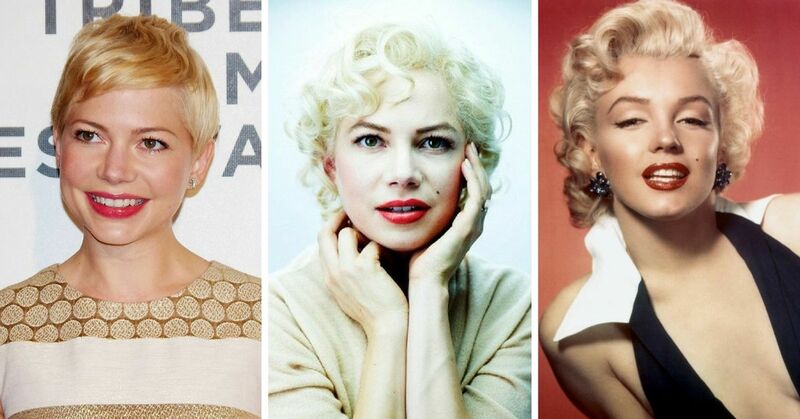 While some people say Courtney Stodden is a dead ringer for Marilyn Monroe, I believe her true doppelganger is Michelle Williams, specifically when she starred in My Week with Marilyn. In the 2011 drama, William portrays Monroe during the production of the 1957 film The Prince and the Showgirl. She said she was able to get into the mentality of a young Monroe by fixating on her vulnerabilities. "In watching everything she ever did, I saw her experimenting and forming Marilyn Monroe over time. In her early work, her face doesn’t have the same kind of agility that it does in her more famous roles," Williams told Deadline. "Early on, she hasn’t mastered how she positions her mouth or raises her eyebrows but you see it gestate over time," she added. 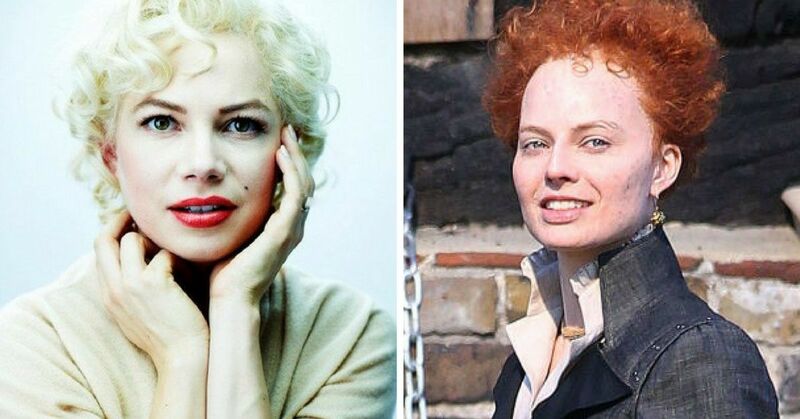 Since Williams didn't want to wear prosthetics, she had to rely on the magic of makeup to get Monroe's signature look. "There are times in the film when she's actually wearing very little make-up but we still kept tiny aspects of Marilyn, such as the eyebrows, the shading and the shape of the lips, so we would keep three or four major points that helped us towards Marilyn," make-up and hair designer Jenny Shircore told Make-Up Artist Magazine. "Some of it was quite difficult, because Michelle's eyes are completely different. Marilyn had very distinctive eyelids, so we had to try and form that shape on Michelle's eyes by the use of light and shade." With all these factors combined, Williams' portrayal of Monroe won her the Golden Gold Award for Best Actress, along with an Academy Award nomination.